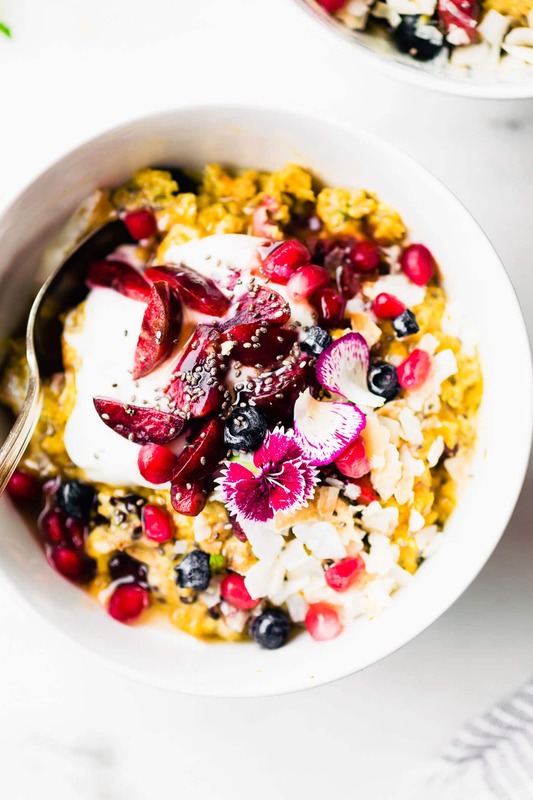 AIP Breakfast Porridge will help heal your body with anti-inflammatory rich foods. 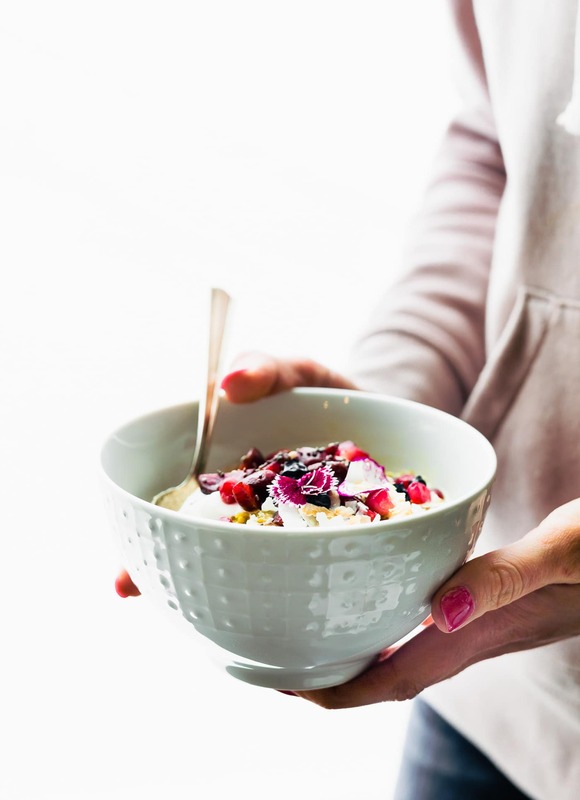 There are no nuts, grains, nightshades, dairy, or eggs used in this easy AIP breakfast recipe, but the breakfast porridge is so delicious, you won’t miss them! 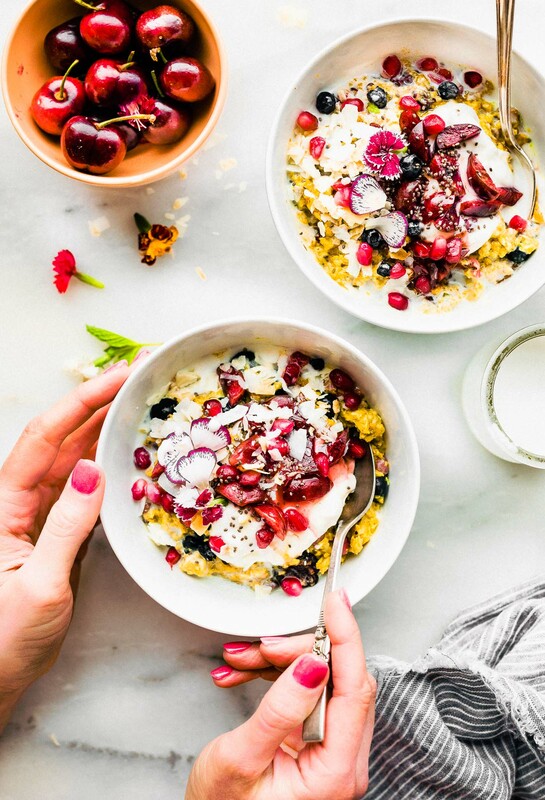 You can make this breakfast porridge on your stove top, or use the Instant Pot porridge recipe option! Hello August! Hello Hottest Month Ever! Hello Monday! 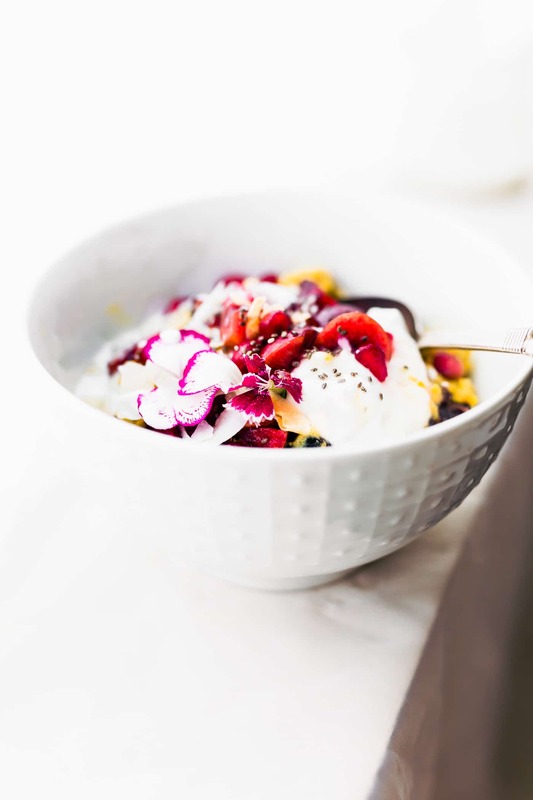 Hello nourishing breakfast bowls. Yes, neeeeeeded! Before we begin, an important note about SEEDS. Yes, this recipe does have the option of adding in seeds, if you can tolerate. If you need a STRICT AIP porridge, please substitute the seeds with coconut flakes, as mentioned in recipe. Sound good? Now, for those of you who are still wondering what AIP is, let’s discuss! What’s in this AIP Breakfast Porridge? Earlier, I mentioned what ISN’T in this Instant Pot breakfast porridge. But let’s recap. It’s a Paleo breakfast porridge that is also grain free, gluten free, dairy free, egg free, and it has no nightshades. 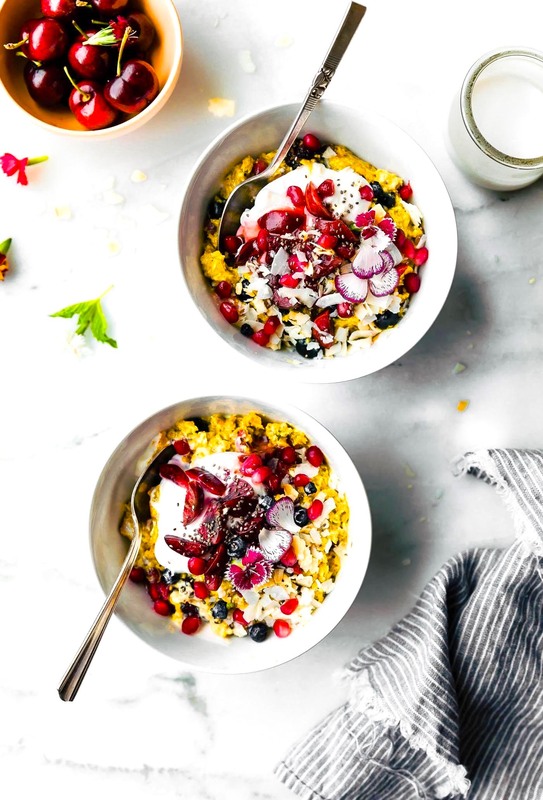 So, what IS in this anti-inflammatory breakfast recipe? 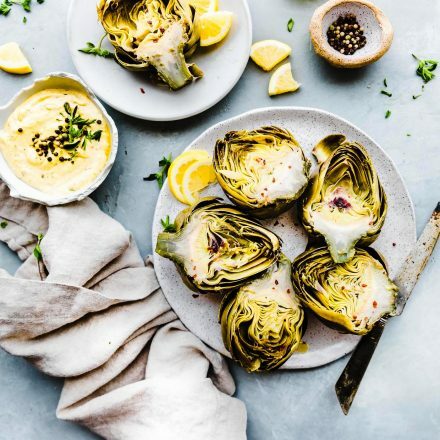 I’ll tell ya… HEALTHY ANTI-INFLAMMATORY GOODNESS! 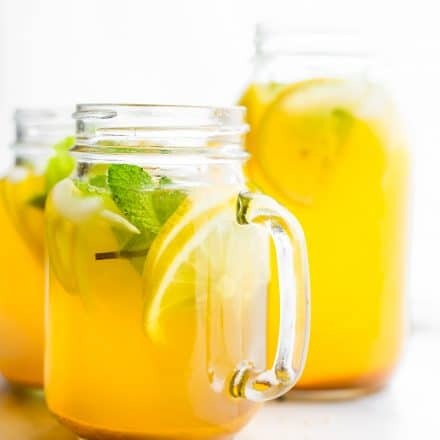 ginger – the tummy tamer! After the squash has been cooked in the Instant Pot, just mash, add the rest of ingredients, and continue to warm everything up. Otherwise, you can mash your roasted butternut squash and use a pan on the stove top to finish combining everything. Oh, and if you don’t want to use butternut squash, the breakfast porridge can also be made using kabocha or acorn squash. But if you do like butternut squash, use 1 cup of it to make the AIP breakfast and the rest to make Vegan Persimmon Butternut Squash Soup. Why? Because it’s healthy and delicious, too! tart cherries — My personal fav because cherries aid in recovery by helping reduce oxidative stress and inflammation on the body. pomegranate seeds – Fiber and Vitamin C! *Can’t tolerate Seeds yet? * NO PROBLEM! Substitute the seeds with ground coconut flakes or coconut butter and a pinch of cinnamon and sea salt! AIP friendly Breakfast Porridge made on the stove or instant pot! 1 cup squash, cooked (ex: butternut squash or kabocha/ or acorn squash ). Extra toppings: tart cherries (pitted), blueberries, pomegranate seeds, sesame seed, and/or coconut cream or yogurt to top. Combine all dry ingredients (sunflower seeds, coconut chia, and spices and grind in a coffee grinder or blender until you get a flour-like consistency. If you are short on time, use tahini instead of sunflower seeds and just mix all together. SEE NOTES FOR SEEDLESS option. .In a small bowl, add the dry mixture with water or coconut milk, let it adsorb and form a gel. Feel free to save a little bit of the gel for topping! Scoop cooked squash and gel mixture into a blender, and blend until smooth. Heat the porridge stove-top on medium heat just until it starts to bubble. Stirring occasionally. 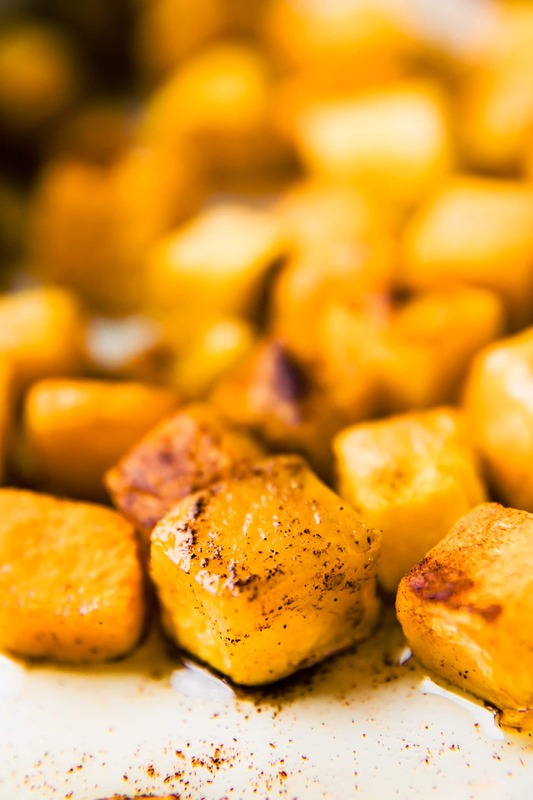 Remove from heat, pour into your favorite bowl, and top with the dry mixture you set aside. Optional Add in –> 1 tsp of ghee if desired, helps improve digestion and healthy fats help absorb the nutrients adding in more nourishment. Top with fresh berries, extra milk, etc. Peel and Chop your squash into large pieces. 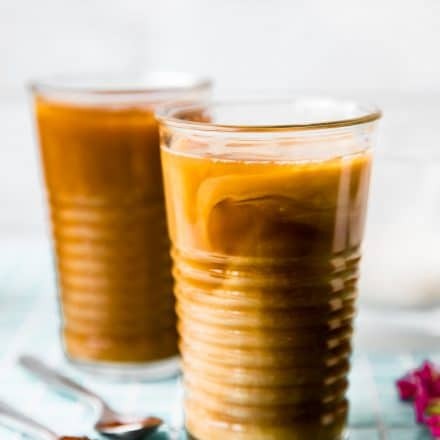 Place in the instant pot with 1 tbsp or less of coconut oil. Add in a pinch of cinnamon and nutmeg and sauté for 5 minutes, turning the sqaush. 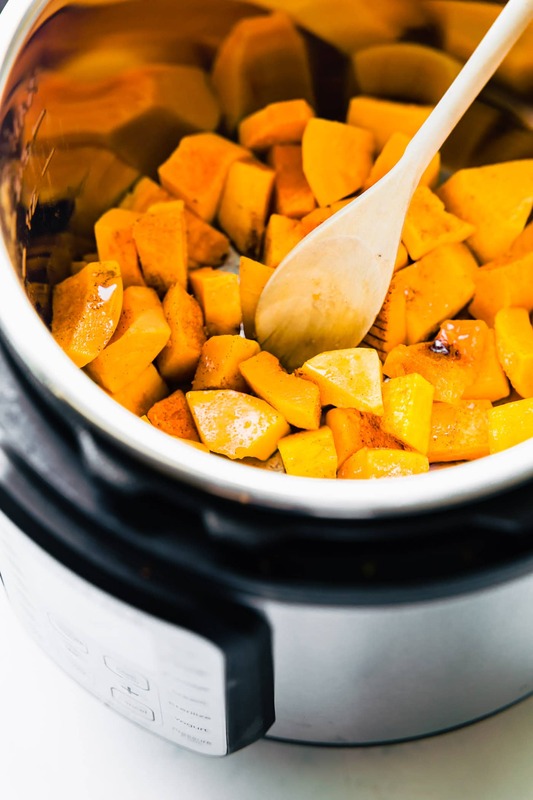 Once the squash is coated, Add 1/3 cup of water to Pressure Cooker cooking pot and Lock on Lid and close Pressure Valve. Cook on Manual High Pressure for 5-6 minutes. Allow a 10 minute Natural Pressure Release. Or use a quick release if short on time. Release the lid, drain the water then puree the squash with a hand blender. Mix in your other ingredients (dry mix and tahini/sesame mix) and a splash of milk (non dairy). Stir all together. Place the lid back on and keep it on warm mode until ready to serve. See notes for meal prep. Nutrition Below based on one serving using coconut milk versus water. NOTES FOR AIP substitutes – seeds are used if well tolerated. If you need SEED substitutes, you can use ground coconut flakes or coconut butter mixed with a pinch of cinnamon, sea salt, and/or grated orange zest or ginger root in place of the sunflower seeds/tahini. Are you seeing what I am seeing? It’s like Summer produce meets cozy side dish meets in a superfood breakfast bowl form. What’s not to love? Seriously, don’t knock it till you try it. You can’t even tell it’s a NO- OATMEAL porridge. Alright friends, tell me something that’s making you feel nourished? SOUL nourished and BODY nourished. Whoa, too much thinking on a Monday. Haha! Okay but for reals, have you ever tried any AIP recipes for healing your gut or just to feel better in general? I love all the dense nutrients it brings! ← Life Behind the Scenes: How’s Your Soul? This sounds absolutely delicious for a healthy breakfast! Will definitely be pulling out my Instant Pot! I’m going to try this with sweet potato and see how it goes! I prepped a bunch of the dry mix ahead of time (about 4 servings) and stuck it in the fridge, so I will report back. Planning on using 6 Tbsp. of the pre-prepped mix for one serving of dry ingredients. Awesome! Is this for instant pot or stove? I love this! It almost makes up for my August misery right now. This humidity is cruel and unusual punishment. Just shoot me now. Save yourself and come visit! I love a breakfast porridge like this! All the goodness! Such an amazingly healthy and beautifully colorful breakfast! wow, the colors here are amazing, love the flowers!! Healing and delicious! It’s great eating foods that satisfy the tastebuds and do the body a good service. So pretty and such a hearty breakfast! I haven’t tried AIP. I just eat a lot of foods that make me feel good! Butternut squash in a porridge recipe….your creativity astounds me. Not only does it sound delish, but the color combo is on point!! Just wondering if this would freeze well? Are flax seed and sunflower seeds allowed on AIP, or just at tolerated? you could also try just using coconut butter and grated ginger with cinnamon. It’s for those who are introducing seeds back in. Sorry I didn’t clarify. 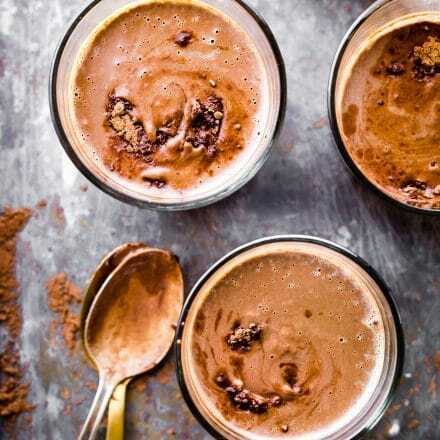 You can skip or use ground coconut and cinnamon for sure! This sounds really good, and I’d like to try it this weekend. I’m still in the elimination phase of AIP, so I can’t have chia, flax, sunflower or tahini. Do you think it will still be good withouth them? Beautiful photo. totally! You could use ground up coconut and cinnamon together. Instead of tahini. Thoughts? It sounds nice but seeds actually are AIP compliant. Maybe call it paleo instead. There should be notes in the recipe for AIP adjustments. Can you see it? I’ll be sure to update it again if not! When she read me the ingredients..I informed her that Nuts and seeds are good for some in moderation, but absolutely not for anyone with an autoimmune disorder.. they contain polyunsaturated fats, which is a proinflammatory omega-6 fatty acids. 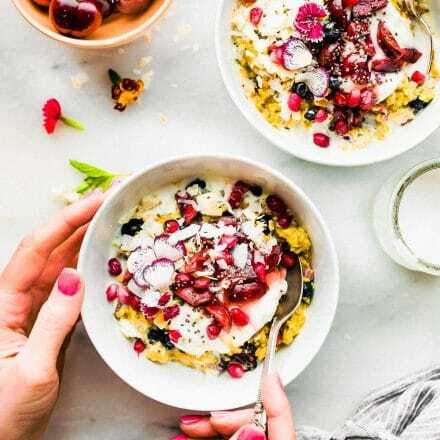 This recipe is absolutely a wonderful alternative to the grain morning cereal, but not good for anyone with any type of autoimmune disorder. I’m not a leading expert, but I have Multiple Sclerosis and although it’s colorful and looks delicious…your statement of “AIP diet Breakfast porridge is extremely misleading and false. Oh yes, I totally agree! I have that in recipe, the AIP option with nuts and seeds. Did you see that? Sorry if it wasn’t clear. Omg! It looks great, but it enhanced my frustration. Bought the butternut squash, chopped it, then came back here to read how to bake it… just to discover that I cannot make it. I didn’t get to the bottom of the recipe in the grocery store, to find out I also needed collagen, coconut flakes, coconut butter… you do’t find these at my grocery store. It was very late, after 10 pm so I had to throw my squash to garbage. This is not something to make after a long day at work and a visit to the grocery store. None of these AIP recipes is quick. So tired 🙁 I’ll try it one day. I made the non seed version and mine turned out very runny , More like soup than porridge. Wondering what I can do differently next time? Oh no, not good! What squash did you use? diced? and in instant post? My porridge was bitter from the ginger or cinnamon. Currently in the elimination phase of AIP. Maybe this recipe isn’t quite suited for the elimination phase. Oh no, that’s not good. Let me help here. Can you tell me if you used maple syrup and how much ginger? Was your porridge creamy or thick? Happy to help!